It's been a while because I've been a busy little designer! Last week, my coworkers and I managed to get ourselves a day-pass (thanks to Tamye Riggs!) to TypeCon 2009. So, we signed up for a workshop on Thursday and a full day of sessions on Friday. 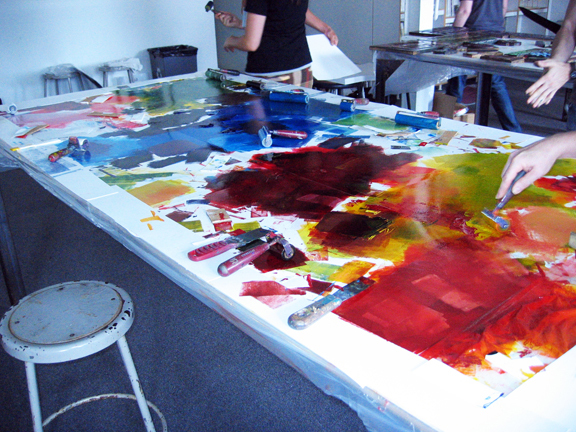 Thursday's Hatch Show Print workshop was SO MUCH FUN! We met up at Portfolio Center in Atlanta at 9am and printed until around 4pm! It was a long day of messy inking and I loved every minute of it. 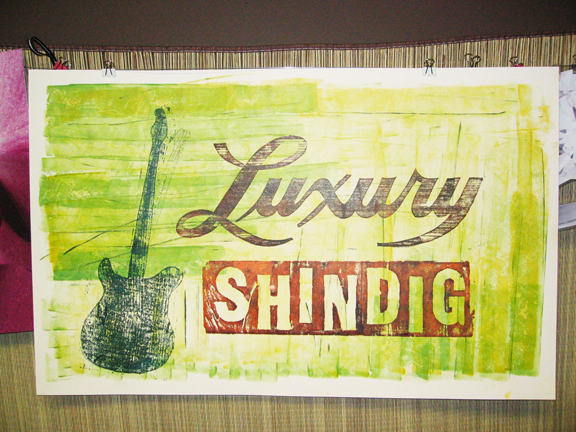 Jim Sherraden is resident print-maker and historian at Hatch Show Print in Nashville, TN. Hatch is owned by the Country Music Hall of Fame® and operates like a working museum. Hatch is one of the oldest working letterpress shops in the USA and they have designed and printed posters for country music's biggest stars like Hank Williams and Johnny Cash. Jim is a great guy to talk to. He got us started by giving us an overview of the print blocks and their history and gave us a basic review of print-making. After that, we got started - it really was a full day of printing. If you have the opportunity to take a workshop, it's well worth it. Check out my photos from the day on flickr.